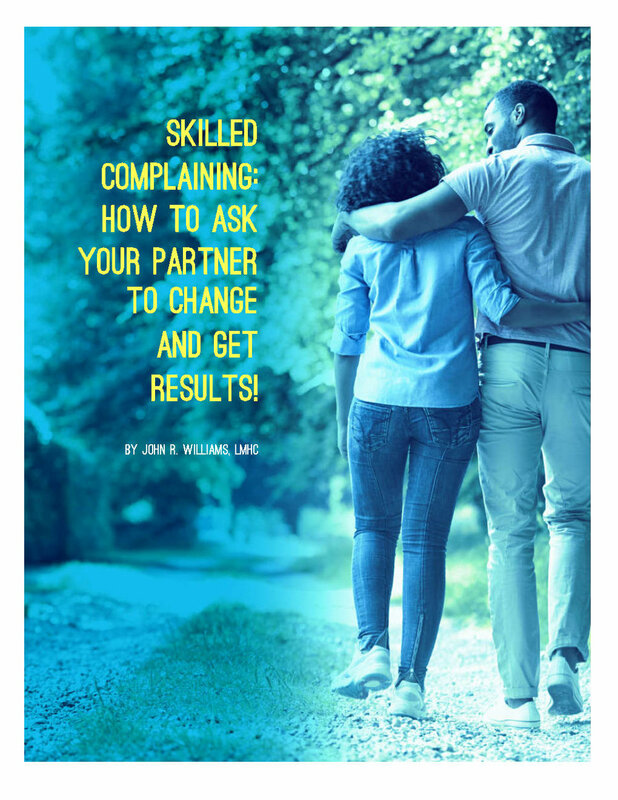 Skillful Complaining: How to Ask Your Partner to Change and Get Results! We know that others can make requests of us in a way that makes us resistant. And there are ways that leave us more receptive--or even eager to do what we are asked. What exactly are the secrets of making requests of our partner that leaves them more wanting to do what we ask? Written by BMP Director and marriage educator, John R. Williams, this 15 page e-book gives these secrets in a simple, practical way, with lots of examples. It's yours, free, by just filling out the form at right. Thanks. You will receive your free e-book within the next few days. You will also be subscribed to the BMP Newsletter with marriage enrichment tips, and program updates. Thank you for your request! Your free e-book will be in your inbox in a day or two.